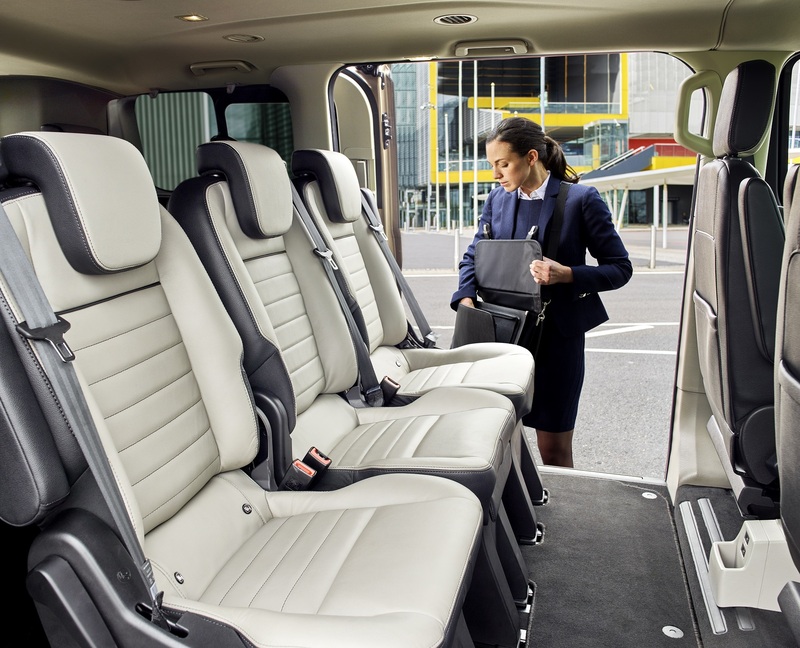 For those who want a vehicle with nine seats for moving people in style and comfort, the new Ford Tourneo Custom offers everything in a great package. Along with a new upmarket interior, there’s also bold exterior styling. However, for most potential drivers, the luxurious and spacious cabin features the potential for six individual seats to be rearranged into a conference format – that’s a unique in-segment feature, says Ford. The Tourneo Custom also has six USB ports as well as an excellent 10 speaker audio system. 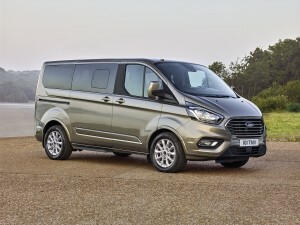 But that’s not all, the new Ford Tourneo Custom has been extensively re-engineered to boost its refinement levels with extra technologies including an intelligent speed limiter and Ford’s Sync3 connectivity system. There is also a good level of performance thanks to a 2.0 litre diesel EcoBlue engine as well as a new six-speed SelectShift automatic transmission and option of a rear air suspension system for a smooth journey. There’s room on board for nine adults and the new model stands out from the crowd with a completely new design for the front end which features a five bar chrome grille and a luxurious cabin. The interior features high-quality materials with better comfort and noise levels. The dashboard for the Ford Tourneo Custom has been redesigned with an all-new instrument panel which resembles that seen in the firm’s new Fiesta. It’s an easy-to-use vehicle and the level of connectivity means those on board can use tablets and smartphones easily. The 8-inch colour touchscreen can be used with pinch and swipe gestures. In addition to switching the seats around so the rear two rows can face each other, drivers can also fool the seats flat or stowed away or even remove them completely to boost the luggage area to meet their own lifestyle business requirements. indeed, the seats have been completely redesigned with better support and with the sound insulation being improved means the rear cabin is a pleasant and quiet place to spend time. The passengers in the rear will also enjoy a more effective air conditioning system which will deliver heat or cool air more quickly. While the new Ford Tourneo Custom is well-equipped, the options list includes things like satnav, rearview camera and leather trim. There’s also a sport series available with a full exterior body kit making it stand out even more. The Ford Tourneo Custom is aimed at those who are looking for an executive shuttle vehicle as well as lifestyle and personal use customers with production scheduled begin later this year, deliveries will start from early 2018. This entry was posted in Car Leasing, Cars, Family Car, Popular Cars and tagged Ford Tourneo Custom by Steve Lumley. Bookmark the permalink.